The online retail giant Amazon has reported weaker profits for the busy Christmas period, but a 15% rise in sales has cheered investors. The company made a net profit of $214m (£142m) for the last three months of 2014, which is a drop of $25m on the same period in 2013. However, it was an improvement on the previous quarter, in which Amazon made a net loss of $437m. The company’s shares rose by nearly 8% in after-hours trading. But despite net sales of $89bn, Amazon made a loss of $241m for 2014 as a whole. The firm also warned that its finances were “inherently unpredictable”. It sounded a note of caution for the next few months, saying it could make an operating loss of up to $450m. The web giant added that profits may be “materially affected by many factors, such as fluctuations in foreign exchange rates, changes in global economic conditions and consumer spending, world events, the rate of growth of the Internet and online commerce”. Amazon has become notorious for its lacklustre earnings, and has tended to focus on expanding its business rather than increasing its profitability. True to form, Amazon’s boss, Jeff Bezos, emphasised the success of a new service in the company’s results, rather than addressing the firm’s figures. He referred to Amazon’s membership scheme, Amazon Prime, as a “one-of-a-kind, all-you-can-eat, physical-digital hybrid”, adding that its user base grew by 53% last year. However other recent projects have not been quite as successful. Amazon’s foray into the smartphone market, with the shopping-focused Fire phone, has hardly been a bestseller, and there have been reports that the tech firm is winding up its mobile payments service. Most recently, it was forced to shut down its entry into the diaper market just six weeks after launching the initiative. South Korean tech giant Samsung Electronics reported its first annual earnings decline in three years. Its net profit fell 27% from a year earlier to 5.3tn won ($4.8bn; £3.2bn) in the October to December period, in line with expectations. But its profit of 25tn won for the year, down from a record 36.8tn won in 2013, was the lowest since 2011. The world’s biggest smartphone maker has been facing stiff competition from Apple and cheaper Chinese rivals. Revenue in its mobile business, which was the driver of record earnings in 2013, tumbled 23% in the fourth quarter from a year ago, while for the year it fell 19%. Overall, the company’s sales fell 11% in the fourth quarter. Despite its earnings coming within market expectations, the conglomerate’s shares closed down 1.3% in Seoul. Demand for its smartphones and tablets will continue to fall in the first quarter of this year compared to the last because of seasonal factors, said Samsung in a statement on Thursday. “The mobile business will focus on increasing sales and improving business performance through new product line-ups, such as the Galaxy A series,” it said. The company’s lacklustre earnings come just a day after rival Apple reported the biggest quarterly profit ever made by a public company. On the positive end, a boom in Samsung’s high-margin chip sales helped offset the downturn in its mobile business. Its semi-conductor division’s operating profit jumped almost 36% in the quarter. One of Direct Submit long standing clients, Kidz R Fit, was quite recently recognised not only by their clients for providing an excellent service but also by the UK Government! They received a letter from Edward Timpson MP from the department of Education. Kidz R Fit are quite rightly very proud that their efforts to promote health and fitness amongst the children of the North East and beyond was recognised. Hoping to build on this come the new year Kidz R Fit already have plans to move into new schools all over the North East and around the country delivering their unique program, helping youngsters take part in an activity they can both enjoy and learn from. For more information on the range of effective SEO and Internet Marketing services why not call the Direct Submit office on 0845 2722350 today and let us help you to get your website working harder for you. Royal Mail says it delivered 120 million parcels during December, a rise of 4% on a year earlier. In its latest trading statement, it said that over the past nine months parcel deliveries were up 3%, with parcel revenues, worth half of group sales, flat over the period. The number of letters delivered fell by 3%. The company, which was privatised in 2013, said it expected to meet its full-year profit expectations. In November, the firm warned growth in the UK parcels market would fall from 4-5% to 1-2% for at least two years. Richard Hunter, Head of Equities at Hargreaves Lansdown Stockbrokers, said: “The GLS [online parcel tracking system] division has again contributed strongly to growth. “Less positively, the lucrative parcels business is still under pressure, with the emergence of the likes of Amazon providing new threats, even if the demise of CityLink removed some competition. UK government borrowing increased to £13.1bn in December, up from £10.3bn a year earlier, figures from the Office for National Statistics show. The increase is largely due to a £2.9bn budget contribution made by the UK to the European Commission. Although it appears in the government’s December accounts, the actual money will only be paid later this year. From April to December borrowing was £86.3bn, down slightly from the £86.4bn borrowed in the same period a year ago. The government’s borrowing target for the year to April 2015 is £91.3bn. Income tax and capital gains tax receipts rose 3.1% from a year earlier, the strongest December increase since 2010. 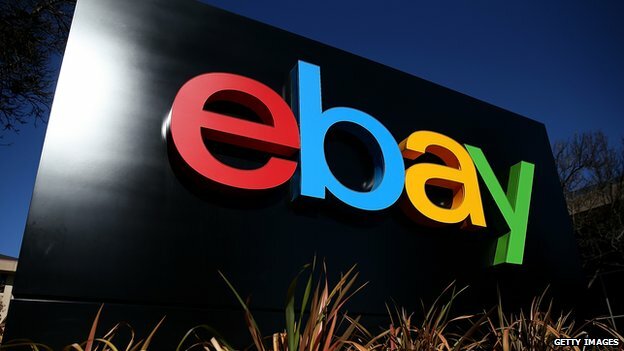 US e-commerce giant eBay is planning to cut 2,400 jobs in the first quarter, the company said on Wednesday. The move to slash about 7% of its workforce comes ahead of a plan to split from its online payment PayPal business this year. EBay made the announcement in its fourth quarter earnings report, which had topped expectations on Wall Street. It said in a statement it wanted to refocus the businesses and ensure it was “set-up to compete and win”. The job cuts will range across its eBay Marketplaces, PayPal, and eBay Enterprise units. The tech giant also said it has made an agreement with activist investor, Carl Icahn, to give investors a greater say in its PayPal business once it is spun off in the second half of this year. The billionaire investor had been trying to gather support for the proposed split before the firm’s annual shareholder meeting in May last year. EBay also announced that it was considering a sale or public offering of its enterprise unit. Amid the business shake up, the firm forecast earnings between 68 cents and 71 cents a share in the first quarter, while revenue was expected to hit $4.35bn (£2.87bn) to $4.45bn. Both forecasts fell short of market expectations. Its profit in the fourth quarter rose to $936m on $4.9bn in revenue. But, the company’s New York listed shares rose 2.6% in after-hours trade. The UK and US are to carry out “war game” cyber attacks on each other as part of a new joint defence against online criminals. The first exercise, a staged attack on the financial sector, will take place later this year, Downing Street said. The “unprecedented” arrangement between the two countries was announced by Prime Minister David Cameron ahead of talks with US President Barack Obama. The leaders will also discuss privacy issues around encrypted messages. Mr Cameron has previously said in relation to cyber attacks that there should be no “means of communication” which “we cannot read”. He is expected to talk to the US president about getting companies such as Google and Facebook to allow governments to view encrypted messages. In terms of the planned cyber war games Downing Street said they will aim to improve the flow of information between the US and UK about threats. No 10 said agents will co-operate in “cyber cells”, involving MI5 and the FBI, and they will be the first the UK has established with another country. Speaking to BBC political editor Nick Robinson after arriving in Washington on Thursday night for a two-day visit, Mr Cameron said cyber attacks were “one of the big modern threats that we face”. The measures come in the wake of the recent hacking of Sony Pictures’ computers and the US military’s Central Command’s Twitter feed, where comments were posted promoting Islamic State (IS) militants. The cyber attack on Sony Pictures led to data being leaked from its computers exposing emails and personal details about staff and stars. The BBC’s technology correspondent Rory Cellan-Jones said there had been a lot of concern over Mr Cameron’s inference that governments should be able to view encrypted data. He said not only were civil rights groups worried, but major players in the technology industry said banning encrypted messages could harm British trade if UK companies were seen to be not private. The correspondent also told BBC Radio 4’s Today programme that smaller social networking sites were just as well used by potential hackers as the well-known ones. He said he had found an example of an exchange on the site Ask.fm which appeared to be from an IS fighter asking another user which country he should go to for weapons training. Mr Cameron and Mr Obama will also focus on the global economy during the prime minister’s visit, which is likely to be his final Washington trip before May’s general election. The pair also discussed the fight against Ebola over dinner at the White House on Thursday, and the prime minister said epidemiologists should be deployed around the world to provide a swift response to outbreaks. A third of unemployed young people regularly “fall apart” emotionally, a report by the Prince’s Trust says. Based on interviews with 2,265 people, aged 16 to 25, it suggests half of unemployed young people often feel anxious about everyday situations and 46% avoid meeting new people. Young people risk becoming “socially isolated” while unemployed, Martina Milburn from the trust said. Employment Minister Esther McVey said youth unemployment had seen big falls. The Prince’s Trust Macquarie Youth Index suggests 13% of people in the UK aged between 16 and 25 often feel too anxious to leave their house. But it said unemployed young people were more than twice as likely to feel that way. It said almost half of unemployed young people “always” or “often” felt down or depressed, while 36% said anxiety had stopped them from looking after their health, and 38% said it prevented them eating properly. US President Barack Obama has unveiled proposals to strengthen cyber security laws following a spate of attacks against high-profile US targets. Recent hacks of Sony Pictures and a Pentagon Twitter feed reflect the need for tighter legislation, the president said. The proposals are due to be sent to Congress immediately. Previous efforts on cyber security legislation have encountered opposition from civil liberty campaigners. Mr Obama continues to face privacy concerns, part of the backlash over revelations about the scope of government surveillance and bulk data collection. But cyber-crime has directly affected millions of consumers. Mass data breaches have struck US retail outlets, and there are indications the Republican-led congress would support new legislation. The president is advocating legislation that would improve the way the government and private sector share information about cyber threats, and would update the legal framework needed to go after cyber criminals. He has tried to pass more robust legislation on cyber security for years, and is hoping a consensus can be reached with the Republican Party. Tuesday’s announcement comes after the Twitter account of the US military command was suspended on Monday following an attack by hackers claiming to support Islamic State.